When you’re planning to spend a night out in Morocco it can be tricky to know what to wear. Depending on where you’ll be going and what you’ll be doing may affect what you wear, but aside from a few suggestions – anything can really go. To help you pack and plan accordingly, I’ve put together a few different outfit suggestions! This is a great casual outfit to go out in any seaside city or for a late evening get together. You could pair it with leggings and a cardigan if you wanted to be a little more covered up but you’ll see plenty of women out for the night in shorter dresses. Personally, I’d opt for something a little longer underneath. I also really like these sandals because they could easily be worn during the day as well – saving you some luggage space. Last week I posted about nightclubs in Marrakech and there are lots. If you’re in a city like Marrakech or Casablanca there are plenty of places to go out and party. 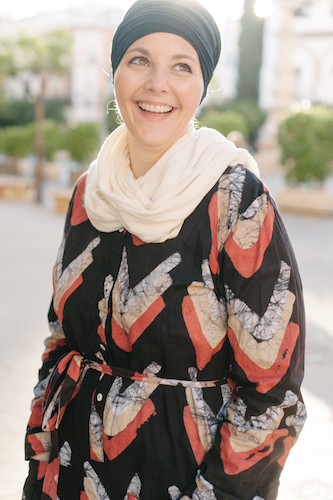 Feel free to wear what you would wear back home because you’ll quickly discover, especially in Marrakech, things can go over the top. Pack one chic outfit for your special night out and don’t forget a signature red lipstick! In most cases nightlife tends to come alive in the newer parts of the city. But, if you’re getting dressed up to go out in the medina, I would suggest toning it down a little. You could wear anything but you’re likely to get a lot more stares and comments if you’re more uncovered. Instead choose a cute dress like this high low maxi dress for a mix of both. A long duster can also be paired to cover up a little more if you feel uncomfortable or cold. When you’re meeting friends or simply have dinner reservations but want to dress up without a nightclub feel I like this jumpsuit outfit. 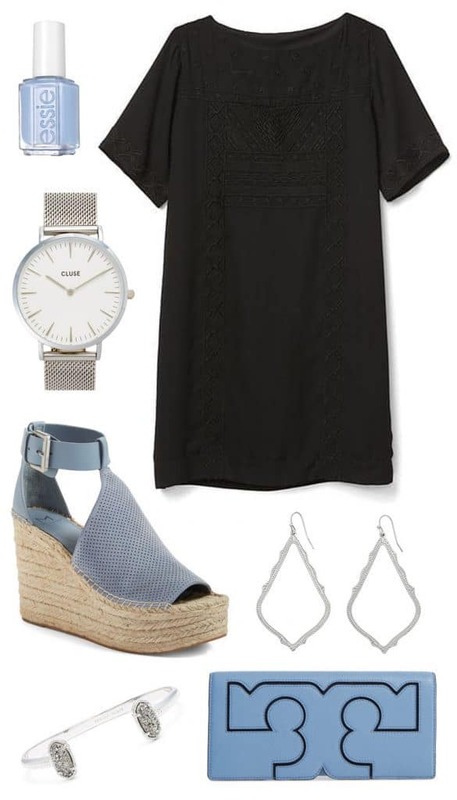 Black is always chic and you won’t feel uncomfortable in this loose fitting outfit. If jumpsuits aren’t your style you could opt for a black pant/shirt combo instead. A large pashmina is a pop of color and can double as a shawl if temperatures drop. Choose a few cute accessories that won’t take up much luggage space pop can change up an outfit. 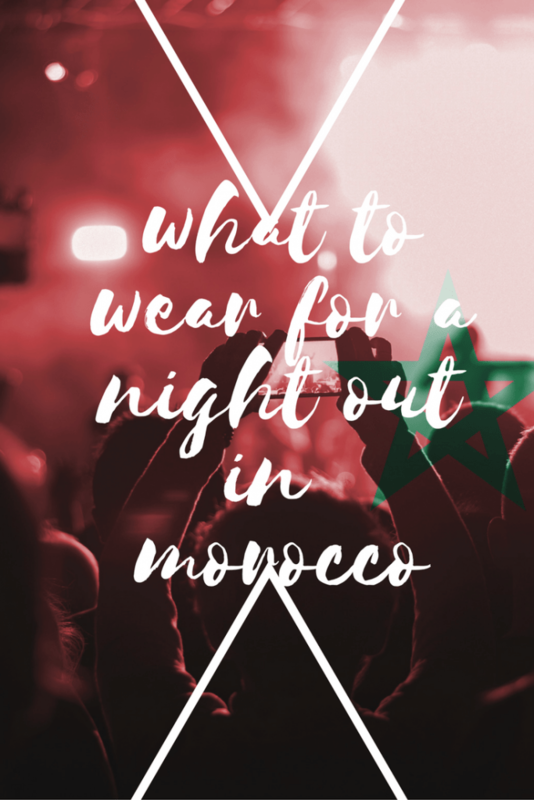 I hope that from this you’re able to see there’s really a lot of versatility in what you can wear when you plan to go out for the night in Morocco. My one final word of advice is that in smaller cities you really want to tone things down as they are typically much more conservative. Chances are those cities aren’t going to have many options for going out anyway so no need to pack things you won’t use!